Arepas, the South American cousin of the Salvadorian pupusa and Mexican gordita, is a thick corn patty that is a staple of Venezuelan and Colombian cooking. My sources tell me the difference between a Venezuelan arepa and a Colombian arepa is that a Venezuelan arepa is stuffed with yummy fillings while the Colombian one is used more as accompaniment (like a tortilla or dinner roll would be used). Either way this little corn patty sure is delicious. 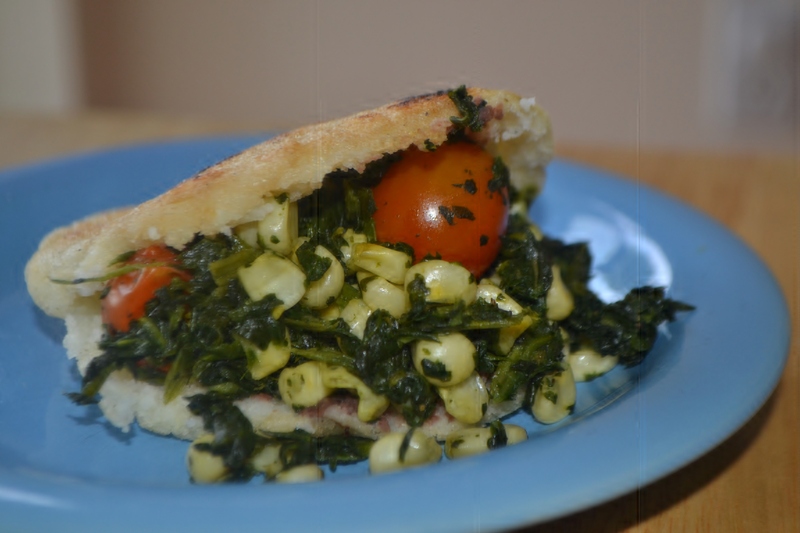 For this recipe we are taking a vegan approach to a Venezuelan arepa and slathering it with a hearty black bean mixture then stuffing it with vibrant spinach, sweet corn and tangy tomatoes. Ohhh yummy. In a small saucepan or sauté pan heat a small amount of oil on medium heat. Toss in the chopped garlic and cook for about 1 minute or until fragrant. Add beans. Stir occasionally until beans are heated through. Add salt and cumin and mash beans (either with a potato masher or the back of a wooden spoon) to a chunky consistency. Set aside. In a sauté pan heat about 1 teaspoon of oil. 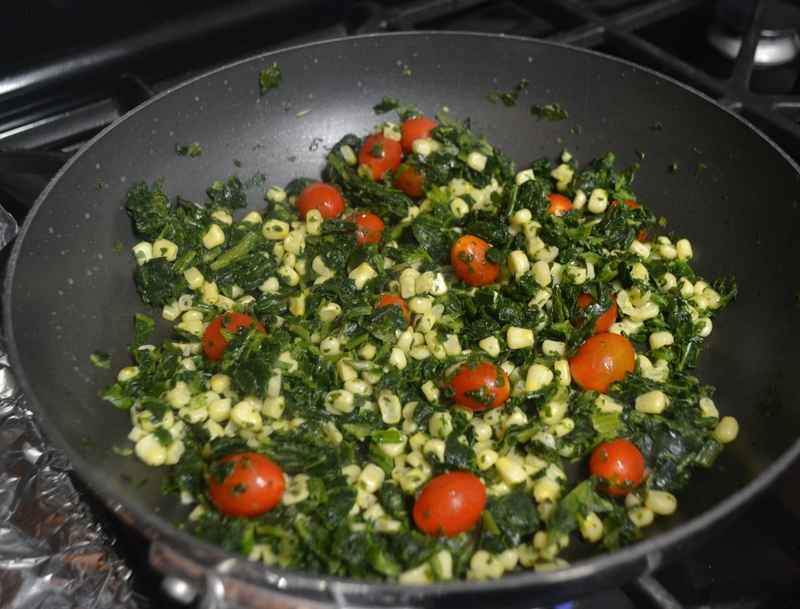 Add spinach to pan and cook spinach until it begins to wilt. Next toss in the tomatoes. Give it a good mix and cook until the tomatoes begin to soften. Finally, add the corn and salt. A good mix and set aside. In a bowl mix the dry arepa flour according to package directions (usually slightly more flour than water is used and the flour is added to the water but make sure to follow directions). 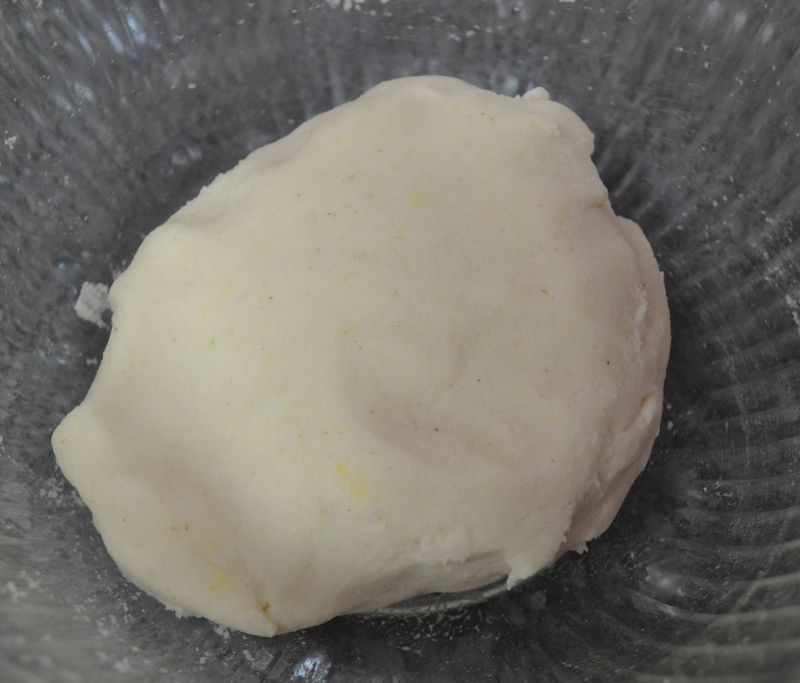 Once the arepa dough is finished divide dough evenly (golf-ball size pieces should work). Flatten them out between your hands (about ¼ inch thick). Heat on a hot griddle or pan with a small amount of oil (or use a couple sprits of cooking spray). Cook for 5 minutes on each side or until arepas have a nice char and make a hollow thumping sound when tapped. Let rest for a few minutes before taking a sharp knife and slicing them through lengthwise. 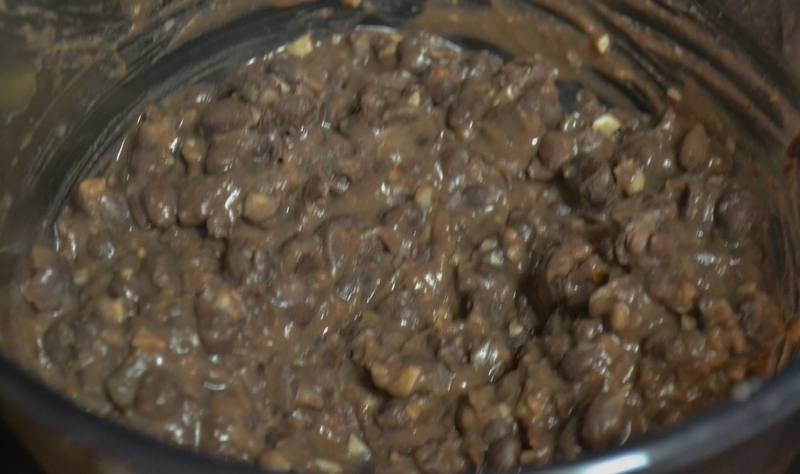 Slather the inside with the bean mixture and then spoon in the spinach and corn. Dig in.